MAMMOTH SPRING – The Arkansas Game and Fish Commission is asking anyone floating the Spring River in Fulton County to avoid the area near Sadler Falls. A sinkhole has opened below the falls near Dead Man’s Curve. 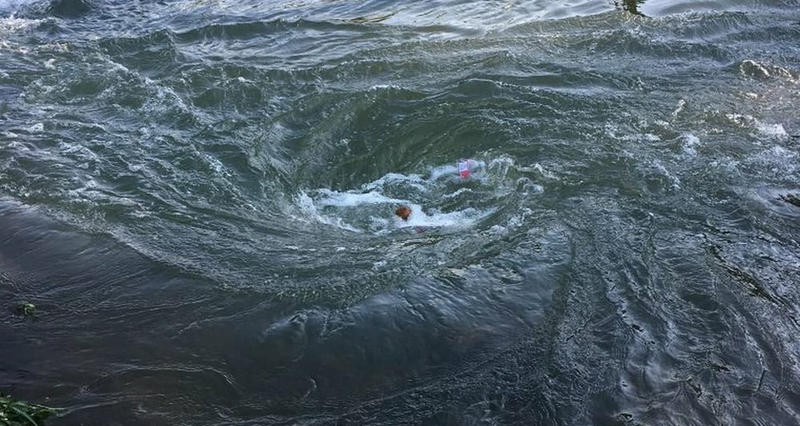 Around noon Saturday, the resulting whirlpool was the location of a fatal boating accident. The U.S. Army Corps of Engineers and Fulton County, along with the AGFC, have installed buoys and roped off the area where the whirlpool is located. The river is still open, but the barricaded area should not be breached. Engineers will be on site this week to assess the area and look for a solution. The Spring River is a 57-mile long river which flows through the U.S. states of Missouri and Arkansas. It consists of two branches, the South Fork of the Spring River and the Spring River proper. — It was a trip down the Spring River he had made several times before, but on Saturday, something that had never been there prior brought 64-year-old Donny Wright’s life to a tragic end. “A sinkhole had opened up and it turned into a whirlpool,” said Selah Neal, Wright’s youngest daughter. Officials with the Arkansas Game & Fish Commission say the sinkhole opened up below Sadler Falls near Dead Man’s Curve in Fulton County. Crews have since roped off the area around where the whirlpool formed.